"'40s" تحوّل إلى هنا. لمطالعة decades comprising years 40–49 of other centuries، انظر List of decades. Above title bar: events during الحرب العالمية الثانية (1939–1945): From left to right: Troops in an LCVP landing craft approaching "Omaha" Beach on "D-Day"; Adolf Hitler visits Paris, soon after the Battle of France; The Holocaust occurred during the war as Nazi Germany carried out a programme of systematic state-sponsored genocide, during which approximately six million European Jews were killed; The Japanese attack on the American naval base of Pearl Harbor launches the United States into the war; An Observer Corps spotter scans the skies of لندن during the Battle of Britain; The atomic bombings of Hiroshima and Nagasaki are the first uses of nuclear weapons, killing over a quarter million people and leading to the Japanese surrender; Japanese Foreign Minister Mamoru Shigemitsu signs the Instrument of Surrender on behalf of the Japanese Government, on board USS Missouri, effectively ending the war. 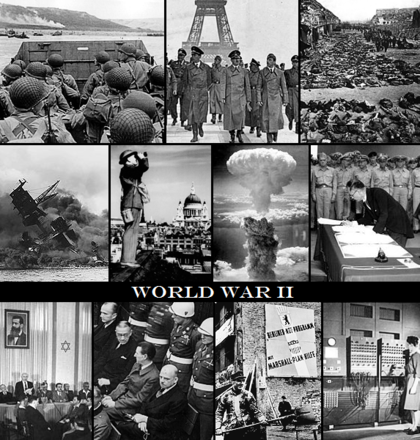 Below title bar: events after World War II: From left to right: The Declaration of the State of Israel in 1948; The Nuremberg Trials were held after the war, in which the prominent members of the political, military, and economic leadership of the defeated Nazi Germany were prosecuted; After the war, the United States carried out the Marshall Plan, which aimed at rebuilding Western Europe; ENIAC, the world's first general-purpose electronic computer. The 1940s (pronounced "nineteen-forties" and commonly abbreviated as the "Forties") was a decade of the Gregorian calendar that began on January 1, 1940 and ended on December 31, 1949. Most of الحرب العالمية الثانية took place in the first half of the decade, which had a profound effect on most countries and people in Europe, Asia, and elsewhere. The consequences of the war lingered well into the second half of the decade, with a war-weary Europe divided between the jostling spheres of influence of the Western world and الاتحاد السوڤيتي, leading to the beginning of the Cold War. 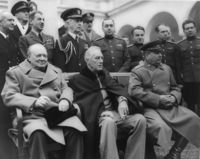 To some degree internal and external tensions in the post-war era were managed by new institutions, including the United Nations, the welfare state, and the Bretton Woods system, facilitating the post–World War II boom, which lasted well into the 1970s. 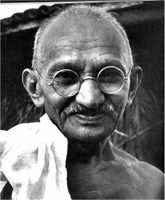 However, the conditions of the post-war world encouraged decolonialization and emergence of new states and governments, with India, Pakistan, Israel, Vietnam, and others declaring independence, although rarely without bloodshed. The decade also witnessed the early beginnings of new technologies (such as computers, nuclear power, and jet propulsion), often first developed in tandem with the war effort, and later adapted and improved upon in the post-war era. Nazi Germany invades Poland, Denmark, Norway, Benelux, and the French Third Republic from 1939 to 1941. Soviet Union invades Poland, Finland, occupies Latvia, Estonia, Lithuania and Romanian region of Bessarabia from 1939 to 1941. Germany attacks الاتحاد السوڤيتي (June 22, 1941). The United States enter الحرب العالمية الثانية after the attack on Pearl Harbor on December 7, 1941. It would face the Empire of Japan in the Pacific War. Normandy Landings. The forces of the Western Allies land on the beaches of Normandy in Northern France (June 6, 1944). The Holocaust, also known as The Shoah (Hebrew: השואה, Latinized ha'shoah; Yiddish: חורבן, Latinized churben or hurban) is the term generally used to describe the genocide of approximately six million European Jews during الحرب العالمية الثانية, a program of systematic state-sponsored extermination by Nazi Germany, under Adolf Hitler, its allies, and collaborators. 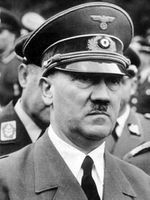 Some scholars maintain that the definition of the Holocaust should also include the Nazis' systematic murder of millions of people in other groups, including ethnic Poles, the Romani, Soviet civilians, Soviet prisoners of war, people with disabilities, gay men, and political and religious opponents. By this definition, the total number of Holocaust victims is between 11 million and 17 million people. 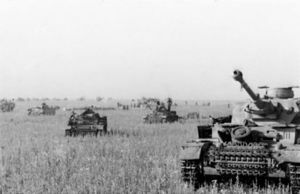 الحرب العالمية الثانية officially ends on September 2, 1945. 1948 Arab–Israeli War (1948–1949) – The war was fought between the newly declared State of Israel and its Arab neighbours. The war commenced upon the termination of the British Mandate of Palestine in mid-May 1948. After the Arab rejection of the 1947 United Nations Partition Plan for Palestine (UN General Assembly Resolution 181) that would have created an Arab state and a Jewish state side by side, Egypt, Iraq, Jordan, Lebanon and Syria attacked the state of Israel. In its conclusion, Israel managed to defeat the Arab armies. Establishment of the United Nations Charter (June 26, 1945) effective (October 24, 1945). Establishment of the defence alliance NATO April 4, 1949. 1947–1948 Civil War in Mandatory Palestine. 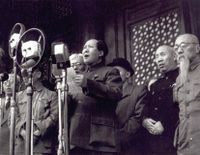 Mao Zedong proclaiming the establishment of جمهورية الصين الشعبية on October 1, 1949. 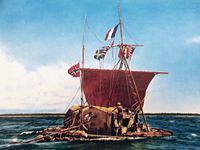 1944 – Iceland declares independence from Denmark. 1945 – Indonesia declares independence from the Netherlands (effective in 1949 after a bitter armed and diplomatic struggle). 1946 – The French Mandate for Syria and the Lebanon dissolves to the independent states of Syria and Lebanon. The French settlers are forced to evacuate the French colony in Syria. 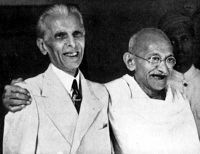 1947 – The Partition of the Presidencies and provinces of British India into a secular Union of India and a predominantly Muslim Dominion of Pakistan. 1948 – British rule in Burma ends. 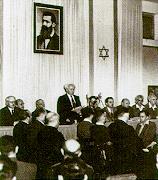 The State of Israel is established. 1949 – The People's Republic of China is officially proclaimed. 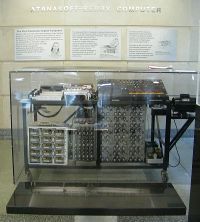 The Atanasoff-Berry computer is now considered one of the first electronic digital computing device built by John Vincent Atanasoff and Clifford Berry at Iowa State University during 1937–1942. Construction in early 1941 of the Heath Robinson Bombe & the Colossus computer, which was used by British codebreakers at Bletchley Park and satellite stations nearby to read Enigma encrypted German messages during World War II. This was operational till 1946 when it was destroyed under orders from Winston Churchill. This is now widely regarded as the first operational computer which in a model rebuild still today has a remarkable computing speed. The Z3 as world's first working programmable, fully automatic computing machine was built. The first test of technology for an atomic weapon (Trinity test) as part of the Manhattan Project. The development of ballistic missiles. The development of jet aircraft. The development of commercial television. Physics: the development of quantum theory and nuclear physics. Mathematics: the development of game theory and cryptography. Willard Libby developed radiocarbon dating—a process that revolutionized archaeology. 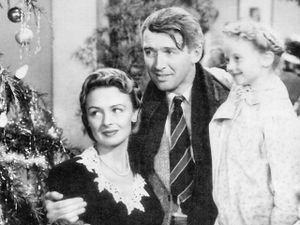 Oscar winners: Rebecca (1940), How Green Was My Valley (1941), Mrs. Miniver (1942), Casablanca (1943), Going My Way (1944), The Lost Weekend (1945), The Best Years of Our Lives (1946), Gentleman's Agreement (1947), Hamlet (1948), All the King's Men (1949). Some of Hollywood's most notable blockbuster films of the 1940s include: The Maltese Falcon directed by John Huston (1941), It's a Wonderful Life directed by Frank Capra (1946), Double Indemnity directed by Billy Wilder (1944), Meet Me in St. Louis directed by Vincente Minnelli (1944), Casablanca directed by Michael Curtiz (1942), Citizen Kane directed by Orson Welles (1941),"The Great Dictator directed by Charlie Chaplin (1940). ",The Big Sleep directed by Howard Hawks (1946), The Lady Eve directed by Preston Sturges (1941), The Shop Around the Corner directed by Ernst Lubitsch (1940), White Heat directed by Raoul Walsh (1949), Yankee Doodle Dandy directed by Michael Curtiz (1942), and Notorious directed by Alfred Hitchcock, (1946). The Walt Disney Studios released the animated feature films Pinocchio (1940), Dumbo (1941), Fantasia (1941), and Bambi (1942). 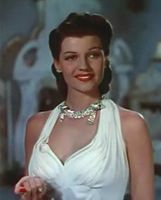 Although the 1940s was a decade dominated by الحرب العالمية الثانية, important and noteworthy films about a wide variety of subjects were made during that era. 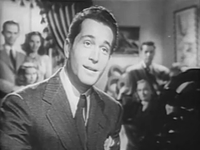 Hollywood was instrumental in producing dozens of classic films during the 1940s, several of which were about the war and some are on most lists of all-time great films. 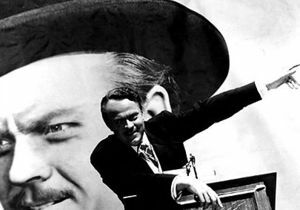 European cinema survived although obviously curtailed during wartime and yet many films of high quality were made in the United Kingdom, France, Italy, the Soviet Union and elsewhere in Europe. The cinema of Japan also survived. Akira Kurosawa and other directors managed to produce significant films during the 1940s. Film Noir, a film style that incorporated crime dramas with dark images, became largely prevalent during the decade. Films such as The Maltese Falcon and The Big Sleep are considered classics and helped launch the careers of legendary actors such as Humphrey Bogart and Ava Gardner. The genre has been widely copied since its initial inception. In France during the war the tour de force Children of Paradise directed by Marcel Carné (1945), was shot in Nazi occupied Paris. Memorable films from post-war England include David Lean's Great Expectations (1946) and Oliver Twist (1948), Carol Reed's Odd Man Out (1947) and The Third Man (1949), and Powell and Pressburger's A Matter of Life and Death (1946), Black Narcissus (1946) and The Red Shoes (1948), Laurence Olivier's Hamlet, the first non-American film to win the Academy Award for Best Picture and Kind Hearts and Coronets (1949) directed by Robert Hamer. Italian neorealism of the 1940s produced poignant movies made in post-war Italy. Roma, città aperta directed by Roberto Rossellini (1945), Sciuscià directed by Vittorio De Sica (1946), Paisà directed by Roberto Rossellini (1946), La terra trema directed by Luchino Visconti (1948), The Bicycle Thief directed by Vittorio De Sica (1948), and Bitter Rice directed by Giuseppe De Santis (1949), are some well-known examples. In Japanese cinema, The 47 Ronin is a 1941 black and white two-part Japanese film directed by Kenji Mizoguchi. 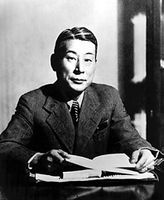 The Men Who Tread on the Tiger's Tail (1945), and the post-war Drunken Angel (1948), and Stray Dog (1949), directed by Akira Kurosawa are considered important early works leading to his first masterpieces of the 1950s. Drunken Angel (1948), marked the beginning of the successful collaboration between Kurosawa and actor Toshiro Mifune that lasted until 1965. The most popular music style during the 1940s was swing, which prevailed during World War II. 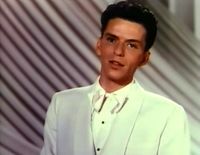 In the later periods of the 1940s, less swing was prominent and crooners like Frank Sinatra, along with genres such as bebop and the earliest traces of rock and roll, were the prevalent genre. For Whom the Bell Tolls by Ernest Hemingway in 1940. The Myth of Sisyphus by Albert Camus in 1942. The Stranger by Albert Camus in 1942. The Little Prince by Antoine de Saint-Exupéry in 1943. Anti-Semite and Jew by Jean-Paul Sartre in 1943. No Exit by Jean-Paul Sartre in 1944. Death of a Salesman by Arthur Miller in 1949. Nineteen Eighty-Four by George Orwell in 1949. The Glass Menagerie by Tennessee Williams in 1944. Even with the challenges imposed by shortages in rayon, nylon, wool, leather, rubber, metal (for snaps, buckles, and embellishments), and even the amount of fabric that could be used in any one garment, the fashion industry's wheels kept chugging slowly along, producing what it could. After the fall of France in 1940, Hollywood drove fashion in the United States almost entirely, with the exception of a few trends coming from war torn London in 1944 and 1945, as America's own rationing hit full force, and the idea of function seemed to overtake fashion, if only for a few short months until the end of the war. Fabrics shifted dramatically as rationing and wartime shortages controlled import items such as silk and furs. Floral prints seem to dominate the early 1940s, with the mid-to-late 1940s also seeing what is sometimes referred to as "atomic prints" or geometric patterns and shapes. The color of fashion seemed to even go to war, with patriotic nautical themes and dark greens and khakis dominating the color palettes, as trousers and wedges slowly replaced the dresses and more traditional heels due to shortages in stockings and gasoline. Erwin Rommel, German Field Marshal who led the North African Campaign. The Supreme Commanders on 5 June 1945 in Berlin: Bernard Montgomery, Dwight D. Eisenhower, Georgy Zhukov and Jean de Lattre de Tassigny. Betty Grable, famous pin-up girl, (1943). Clark Gable with an 8th AF Boeing B-17 Flying Fortress in Britain, (1943). Carmen Miranda in The Gang's All Here, (1943). 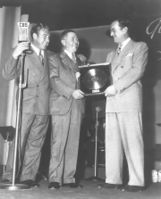 Gold record for Chattanooga Choo Choo presented to Glenn Miller (right), by W. Wallace Early of RCA Victor with announcer Paul Douglas on the left, February, 1942. 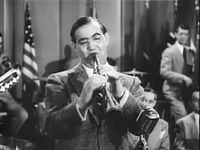 In December 1944 Glenn Miller perished on a flight from London to Paris when his plane disappeared over the English Channel. 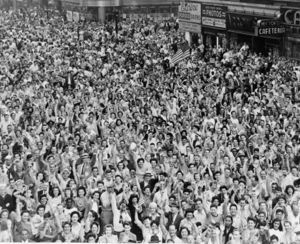 During the 1940s Sporting events were disrupted and changed by the events that engaged and shaped the entire world. The 1940 and 1944 Olympic Games were cancelled because of الحرب العالمية الثانية. During الحرب العالمية الثانية in the United States Heavyweight Boxing Champion Joe Louis and numerous stars and performers from American baseball and other sports served in the armed forces until the end of the war. 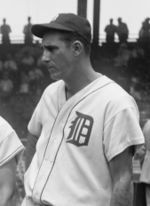 Among the many baseball players (including well known stars) who served during World War II were Moe Berg, Joe DiMaggio, Bob Feller, Hank Greenberg, Stan Musial (in 1945), Warren Spahn, and Ted Williams. They like many others sacrificed their personal and valuable career time for the benefit and well being of the rest of society. The Summer Olympics were resumed in 1948 in لندن and the Winter games were held that year in St. Moritz, Switzerland. During the early 1940s الحرب العالمية الثانية had an enormous impact on Major League Baseball as many players including many of the most successful stars joined the war effort. After the war many players returned to their teams, while the major event of the second half of the 1940s was the 1945 signing of Jackie Robinson to a players contract by Branch Rickey the general manager of the Brooklyn Dodgers. Signing Robinson opened the door to the integration of Major League Baseball finally putting an end to the professional discrimination that had characterized the sport since the 19th century. During the mid-1930s and throughout the years leading up to the 1940s Joe Louis was an enormously popular Heavyweight boxer. In 1936 he lost an important 12 round fight (his first loss) to the German boxer Max Schmeling and he vowed to meet Schmeling once again in the ring. 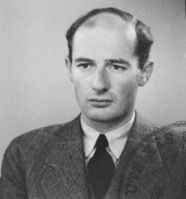 Louis' comeback bout against Schmeling became an international symbol of the struggle between the USA and democracy against Nazism and Fascism. When on June 22, 1938, Louis knocked Schmeling out in the first few seconds of the first round during their rematch at Yankee Stadium, his sensational comeback victory riveted the entire nation. 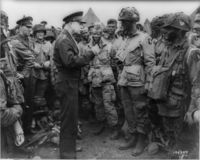 Louis enlisted in the U.S. Army on January 10, 1942 in response to the Japanese attack on Pearl Harbor. Louis' cultural impact was felt well outside the ring. He is widely regarded as the first African American to achieve the status of a nationwide hero within the United States, and was also a focal point of anti-Nazi sentiment leading up to and during الحرب العالمية الثانية. The following articles contain brief timelines listing the most prominent events of the decade. ^ "Holocaust," Encyclopædia Britannica, 2009: "the systematic state-sponsored killing of six million Jewish men, women, and children and millions of others by Nazi Germany and its collaborators during World War II. The Germans called this "the final solution to the Jewish question ..."
^ Niewyk, Donald L. The Columbia Guide to the Holocaust, Columbia University Press, 2000, p. 45: "The Holocaust is commonly defined as the murder of more than 5٬000٬000 Jews by the Germans in World War II." Also see "The Holocaust", Encyclopædia Britannica, 2007: "the systematic state-sponsored killing of six million Jewish men, women and children, and millions of others, by Nazi Germany and its collaborators during World War II. The Germans called this "the final solution to the Jewish question". ^ "Inflation and CPI Consumer Price Index 1940-1949". InflationData. Retrieved 23 April 2014. Lingeman, Richard. The Noir Forties: The American People from Victory to Cold War (New York: Nation Books, 2012. xii, 420 pp.